Social media does not spare anyone. And if you're a celebrity, you just have to make peace with the fact that no matter what you do, there'll always be some people hating on you. Bollywood celebrities may have learnt how to deal with trolls, but what bothers them is when their children have to bear the brunt, too. 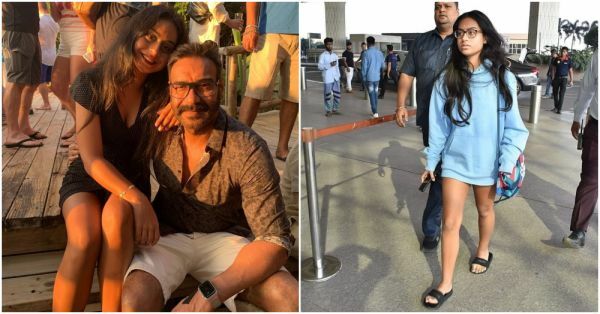 Shah Rukh Khan's daughter Suhana Khan has been trolled mercilessly and now Ajay Devgn and Kajol's daughter Nysa Devgan is in the line of fire. She was endlessly trolled for her choice of outfit for an airport look sometime back in January. The daughter of the star couple wore a light blue hoodie dress. The trolls made fun of her outfit and the resonating comments was why wasn't she wearing pants. Recently, Ajay Devgn opened about the incident and said that it not only hurt Nysa but the entire family. At that time, the actor had said, "Judge me but don't judge my kids. Kajol and I are the actors, judge us...it's because of us our children are under the spotlight every time. Being judgmental about someone is not a good thing. If I start passing judgement on someone, that person would obviously feel bad...so do my children." And now, in a conversation with a leading daily, he said, "She is just a 14-year-old and I feel, at times, people forget that and talk rubbish. She was wearing such a long shirt and she was also wearing shorts. Now because of the length of the shirt, her shorts weren’t visible and the kid got trolled for that. I don’t know what kind of people these are and because of them, we are paying the price. I request the paparazzi to at least leave the children alone. Why are they paying the price for their famous parents? I don’t think any child is okay with paparazzi. They want their space. They want to not dress up every time they step out, so it’s very sad when such things happen." Remember Ajay and Kajol's Koffee With Karan episode? Kajol had revealed that Ajay is quite paranoid when it comes to his children and gets over-possessive. She had also said that when Nysa goes for a party and comes back late, Ajay sits by the door waiting for her to come back and comes inside only once she's back home. Nysa is also a great swimmer and loves cooking. Mommy Kajol feels that she might make a big name for herself in the gastronomic world. 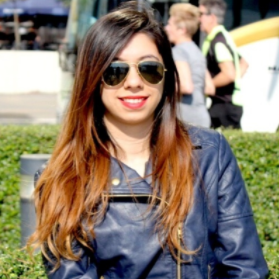 However, as far as her Bollywood career is concerned, doting daddy Ajay said, "Right now, Nysa is studying in Singapore. And I feel she is not interested in films as of now. But yes, it will be completely her choice. Same goes for Yug. We will support them in whatever career choices they make."